Casino has something for every player out there. Members can take advantage of over 530 games, enticing offers and promotions, and a generous loyalty program! It’s no wonder players keep coming back, especially given the site’s award-winning customer service and unbeatable payment security. NetBet Casino really does have it all! What’s the history behind NetBet Casino? NetBet Casino, which is owned by the Cosmo Gaming Limited Company, was launched in 2001. It is officially licensed here in Ireland under license number 1010329, as well as in the United Kingdom, Romania and Malta. The casino’s random number generator has been independently approved by iTech Labs to ensure all the games are fair for players. 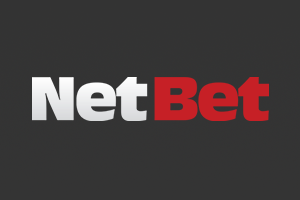 What type of games does NetBet offer? NetBet Casino offers over 530 games, ranging from modern slot machines to classic versions of the most popular table games. These games are split into different sections including: New, Popular, NetBet Selection, Jackpot, Slots, Roulette, Video Poker, Blackjack, Poker, Virtual Sports, All Games and Winter Games. Live Dealers are also on hand offering players the chance to play Roulette, Blackjack, Baccarat and Poker with the unbeatable element of human interaction. Players who want to win big should try their hand at the Progressive Jackpot games, for instance on popular slots like Mega Moolah or Absolute Super Reels. NetBet Casino is powered by iSoftBet, one of the leading providers of online casino software. NetBet Casino players can enjoy their games online, on the site, or by downloading them to their personal devices. Players can play on the go wherever they are, using their mobile devices. A range of languages are also available, including English, French, German, Spanish, Greek, Romanian or Russian. NetBet Casino offers great deals all year round for both new and existing players. Welcome offers include the chance to double players’ first deposit by up to €200, win a laptop or play with 25 free spins. Once players have registered and become accustomed to the site, they’ll find still more great deals on the dedicated promotions page. Offers include cashback on deposits, free bonuses, free plays, the chance to win €100 cash and prizes including holidays paid in full by the website. On top of that, the Players Club programme rewards its loyal customers richly. For every game that players compete on, they’ll earn points that can be transferred into prizes, including a €1,000 concierge shopping trip with a personal butler – pretty classy! Can we trust their payment options? NetBet Casino players can rest easy knowing all their deposits and withdrawals are safe and secure. These convenient and reliable methods include: Visa, MasterCard, Skrill, iDEAL, SOFORT, giropay, Bank Wire, NETELLER, Bitcoin, paysafecard, Ecard, Eutellar, Trustly, Bank transfer, WEBMONEY, QIWI and Moneta. Described as ‘very good’ by an independent company, NetBet Casino’s customer Service team always have the answers. They can be contacted via live chat between 08:00 and 00:00, as well as via phone, e-mail or fax. The site’s Frequently Asked Questions page is also worth a look for any player who may have an issue with the NetBet Casino website. Whatever the problem, the customer service team are sure to have the answer, and on hand to help.